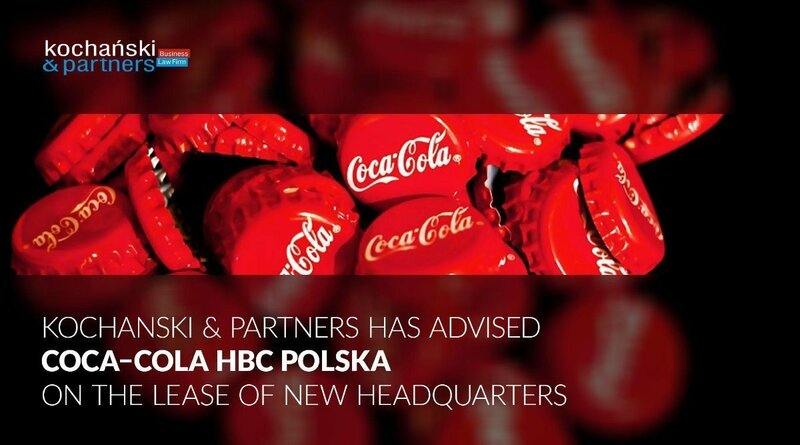 Kochanski & Partners Law Firm has advised Coca-Cola HBC Polska sp. z o.o. in the negotiations and execution of a lease agreement for office and warehouse space in the Business Garden office complex in Warsaw. In December 2018, Coca-Cola HBC Polska sp. z o.o. and Vastint Poland sp. z o.o. signed a lease agreement under which Coca-Cola HBC Polska leased nearly 6,000 sqm of office and warehouse space located in the Business Garden office complex in Warsaw. The company intends to move not only its headquarters but also other offices located in various parts of Warsaw to the new location at ul. Żwirki i Wigury. Coca Cola HBC Poland, which is part of the Coca Cola Hellenic Group, is the leader on the Polish non-alcoholic beverages market. It is responsible for the production, sales and distribution of The Coca Cola Company’s beverage brands in Poland and employs nearly 2,000 people at its headquarters in Warsaw and three factories located in Radzymin, Staniątki and Tylicz. Business Garden is a complex of 7 buildings with a total of over 90,000 sqm of office, hotel, conference, retail and service space. It is the first project implemented on such a large scale in Warsaw, where eco-friendly solutions determine the form and technology. The heart of Business Garden is an internal garden open to city residents and office staff. K&P’s team was led by Malwina Jagiełło (advocate, Associate of the Real Estate Practice) and Marcin Rżysko (attorney-at-law, Senior Associate of the Real Estate Practice). Vastint Poland was represented by Magnusson. Piotr Kochański was awarded the title of “Prawnik 30-lecia"